An elegant wedding cake decorated with white Belgian chocolate curls and ‘floating’ on pretty pink roses and contrasting gerberas. 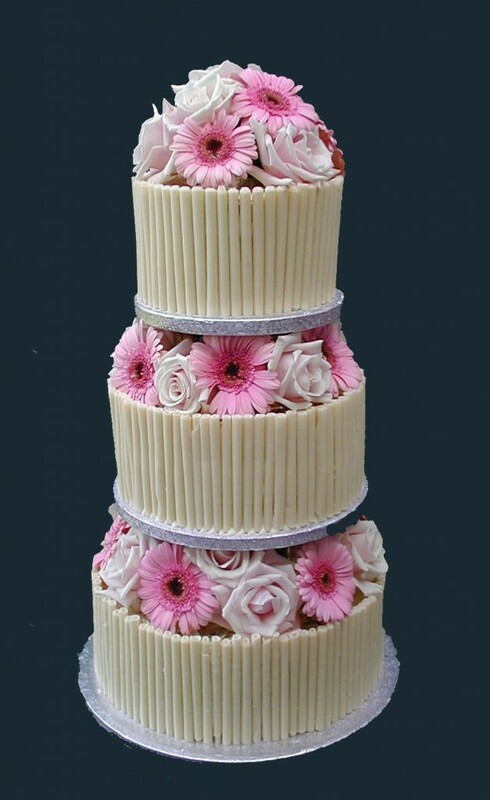 Out of shot there is a matching large round posy of roses and gerberas on the top of the cake. ~£600 including tiers and flowers.